Good news for Minnesota homeowners whose monthly mortgage payments are so high that paying the mortgage is next to impossible: the myth that you have to pay the mortgage lender whatever its losses are after a foreclosure is just that, a myth. This is because Minnesota Statutes section 582.30, and section 580.23, prevent a mortgage lender from pursuing a borrower for a deficiency judgment, where the mortgage was foreclosed by sheriff’s advertisement sale, and where a six month redemption was imposed by law. Because mortgage foreclosure by sheriff’s advertisement sale is usually much cheaper and quicker than foreclosure by court action, mortgage lenders will nearly always foreclose by advertisement sale, which by law carries a six month redemption period. This means that if you have only one mortgage on your home, you can very likely walk away from the home and its mortgage, without fear that you will have to pay the rest of the mortgage debt after foreclosure. This means there is hope for those who believe they are tied to a home, living in serfdom and paying a mortgage they no longer can afford or want to afford. Walk, and the mortgage debt most likely goes away, thanks to sections 580.23 and 582.30. However, if you have a second mortgage, this strategy will not work to get rid of both mortgages. This is because the second mortgage holder will not foreclose if you fall behind on payments (it would have to pay off the first mortgage holder to do so). Instead, the second mortgage holder will eventually sue for a judgment if you fail to stay current on payments. And if your property has a defect in the chain of title, or if there is some other reason (which may not be known to you) that the mortgage holder needs a court order reforming the title, then even the first mortgage will not be stopped from pursuing you if you walk away — because in that situation, the first mortgage holder will probably foreclose by court action, rather than by advertisement, in order to reform the title. 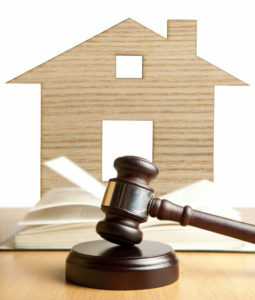 Thankfully, foreclosure by court action is rare. For most Minnesota homeowners who fall behind on monthly mortgage payments, the foreclosure by advertisement sale puts an end to the entire matter.